The Basset Hound dog breed is well known for it’s low-to-the-ground stance. Along with their low stance, they have a unique neck build. Unlike the majority of dogs, the Basset Hound’s neck is wider than it’s head. This makes for an interesting time when sizing collars for Basset Hounds. This is why we have sourced high quality customized collars for Basset Hounds. 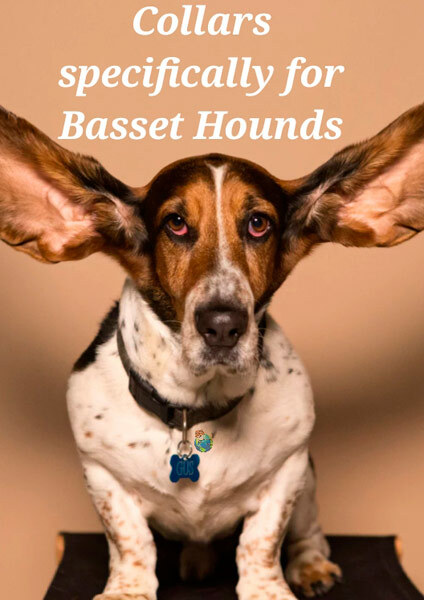 They are sized specifically for the Basset breed and made right here in the USA. Each one of our dog collars is custom sized for each breed. Our collars for Basset Hounds are sized large and can adjust from 12 to 20 inches. If you have a Basset Hound with a broad build, you would work towards the 20 inch range. If your Basset is smaller, then you would work closer to the 12 inch range. If your Basset Hound is still a puppy, the smaller size will work best. As your Basset grows, you can increase the size. A 12 to 20 inch neck diameter is based on the average sizes for the typical Basset. Instead of testing out various sized collars, you can be confident this collar will work for your Basset Hound from puppy to adult. 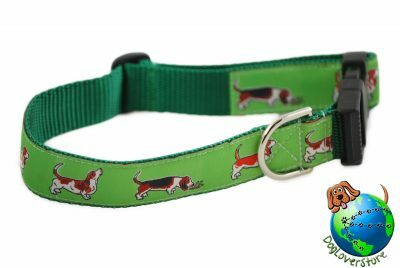 The designs on our Basset Hound collars contain multiple color patterns of the Basset Hound. Whether you own a tri-color, brown/white, or red/white Basset, this collar will mirror your hound! The designs are woven into a high quality ribbon which is then secured onto a durable nylon. Our collars will last a lifetime as they are easy to clean and machine washable. 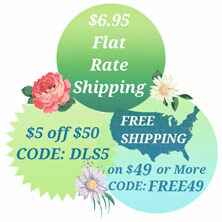 Size adjustment is effortless, and the quick release, heavy duty fasteners provide a secure fit. A d-link is attached to the collar for connecting a leash. The d-link is made of steel.